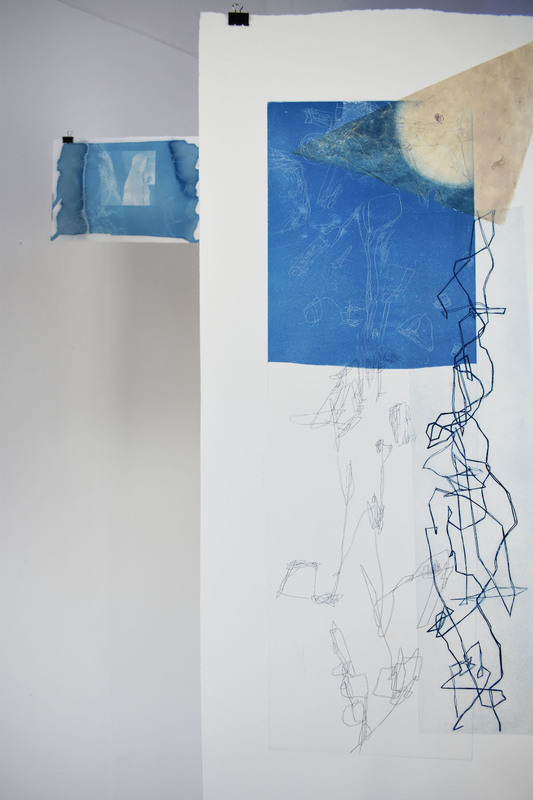 Apoorva Singh is on her third year of BA Fine Art: Print and Time Based Media at Wimbledon College of Arts. From New Delhi, India Apoorva moved to London to further her education. She completed Camberwell, Chelsea and Wimbledon’s Foundation Diploma in Art and Design before deciding on a Fine Art course at Wimbledon. One of the reasons Apoorva wanted to go to university in the UK was to explore a different country and to learn to live independently. She has found living and going to university here, “a great learning experience, meeting new people, being confident in myself and seeing massive internationally acclaimed art shows in London. 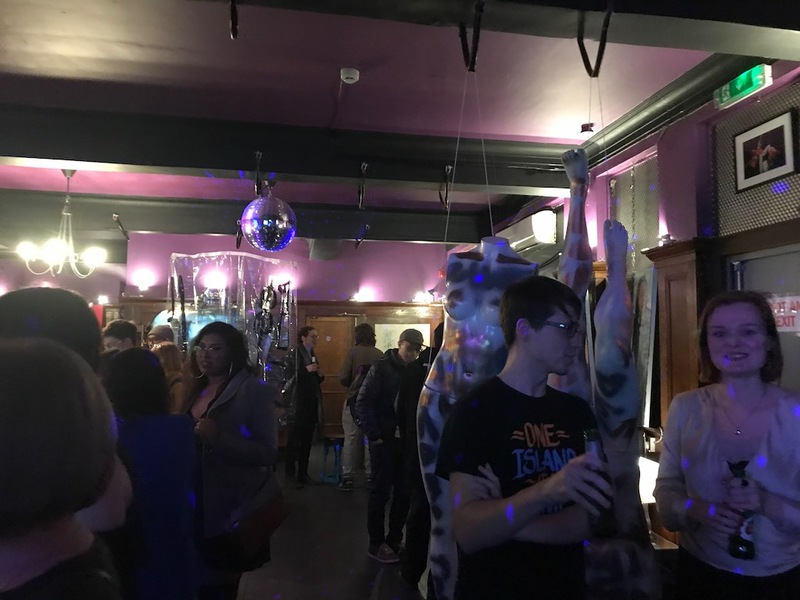 The fine arts have so much visual stuff that you can absorb and soak yourself in, especially in the London.” Apoorva has been making the most of her experiences, including taking part in a collaborative group exhibition ‘Netflix and Chill’. We took this opportunity to speak with her so she could tell us about this exhibition and also about her experiences at Wimbledon. I did the Foundation Diploma located at Camberwell, this introduced me to new areas of design, printmaking, video mapping and projections. I explored quite a lot during the year and eventually was intrigued by printmaking processes. I signed up for a printmaking technique in the workshop to etch on a zinc plate. It was optional, but I was intrigued to learn any new ways of making art and thus ended up signing up for it. That first zinc etching I made in the printmaking workshop opened new gateways to an unfamiliar medium and process of art-making. I believe that any new ways of working with an unfamiliar material or medium helps you expand your ways of thinking. I saw it as a challenge which I then was able to create something stunning. The printmaking workshop facilities at the Foundation Building were helpful in being able to learn the process of etching. It was really useful for me, as I am now in my final year of my BA preparing to make more etchings for my degree show. I found that Wimbledon was a great option to study within the fine art programme, specialising in Print and Time Based Media. It is a one of a kind programme in the UK. I was exposed to various areas of art, including but not limited to performance, sound and animation. The different areas of practices have contributed to advancing my arts practice over the past few years. Wimbledon College of Arts as a community fascinated me. It is a lovely area with a very friendly and supportive community in the heart of Wimbledon. The main centres of art in the city are easily accessible, the balance of the busy city life in the more calm surroundings of Wimbledon was a deciding factor in choosing the course. Personally, this was essential to me, as I come from a different culture and chose a new country to be my home and workplace for three years. 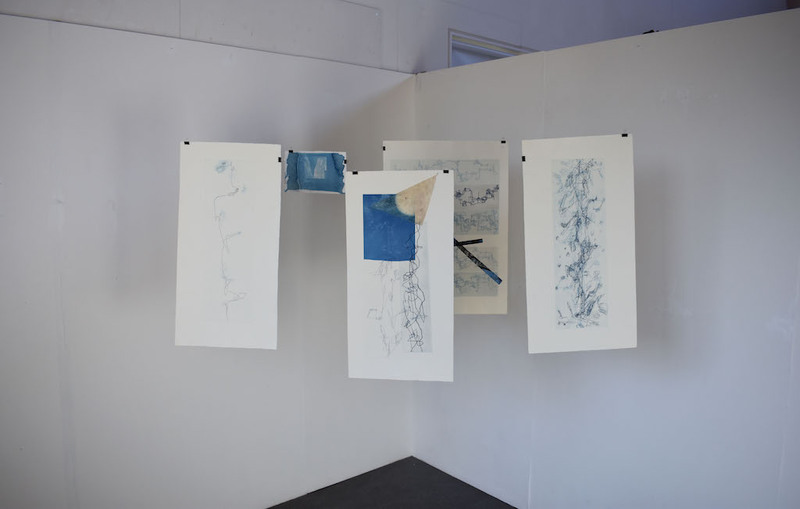 The BA Fine Art: Print and Time Based Media course offered me a chance to work in traditional printmaking along with analogue and digital media based works. The complex relationship of the past and the present, of the processes involved, for a photograph to evolve from black and white to digital, intrigued me to make my decision to choose the course. 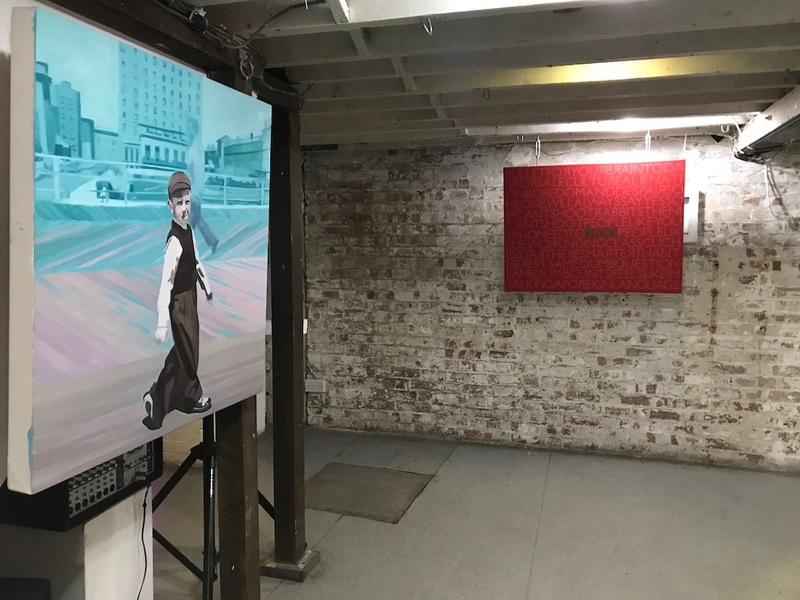 The Netflix and Chill exhibition brought together artists of different disciplines to display in The Flying Dutchman in Camberwell. The pub has a gallery space which it opens up to artists, it’s an interesting place to interact with art and have a few drinks to chill. The exhibition name came about as the organisers wanted to reflect The Flying Dutchman’s chill atmosphere, but also wanted to grab as many peoples attention as possible, with the name’s contemporary connotations and use as internet slang it seemed appropriate. However it really was a way of bringing together several artists of different disciplines to exhibit their works. Any pieces with the title or idea of being ‘cool’, ‘chill’, ‘interesting’ or ‘funny’ were included in the exhibition. I found out about the opportunity from students whom I knew from working in the printmaking workshop. One of these being Monique Wan, one of the organisers who gave me a heads up about it. There was an application process and the selected students were invited to a group meeting prior to the show. The exhibition ran 13 – 15 March, with a private view on the opening night. It was a culmination of the hard work of student organisers from UAL, including Mathilda Osborne, Nikita Russi, Grace Salter and Monique Wan. The exhibition was well curated, the idea of a relaxed evening of sharing ideas and art, the social media promotion of the event so it would be open to all, and the final hang was all really enjoyable. I really liked being involved in the process and to be in a group show. I believe in the old saying that an artwork is probably never finished until the time it is exhibited. It was good to interact with students from other courses and see how their work is exhibited. I had previously exhibited an installation of print works for an interim show held at Wimbeldon as a part of my course. For ‘Netflix and Chill’ I wanted to explore the different ways of exhibiting and hanging this work. For me, it is interesting to see how the work interacts with different spaces. Shout outs for group exhibitions as well as open calls are quite regular in Wimbledon, with posters on site. It is always a good experience to learn the ways of exhibiting through a group show. I find that the dynamics of displaying art can be investigated through group shows, it is a platform where one can test ideas and then take them further into other more refined projects. I made a series of prints for two shows, the ‘Netflix and Chill’ exhibition and an interim show installation, although separate pieces they were both influenced by the same theme of water memory. Water memory is a speculative scientific theory, with minimal critical acclaim, stating that pure water has the capacity to retain memory. (Water has the purported ability to retain a memory of substances previously dissolved in it even after an arbitrary number of serial dilutions.) For me this concept is fascinating and I relate it to imaginary memory landscapes marked on paper in my artwork. The prints were made using different processes, including cyanotype (a photographic printing process that produces a cyan-blue print) and etching (a printmaking technique that uses chemical action to produce incised lines in a metal printing plate which then hold the applied ink and form the image). Cyanotype is an analogue photographic technique which was used before silver nitrate prints (black and white photography) was realised, they were also used for cheap architectural reproductions before digital print gained popularity. The blue colour and the manual way of making the cyanotype, using a chemical coating on paper, interests me. Etching is a more traditional printmaking technique, in which the drawing or marks are made on a wax coating on a copper plate. The drawn marks on the plate are bitten by an acid, ferric chloride, you then ink up of the plate. The printing results in a very fine quality of printed line which you then de-boss into the paper. This technique compliments the automatic and organic drawn forms I make. I think the drawings I make can be, somewhat, explained in Francis Bacon’s words, “I would like my pictures to look as if a human being had passed between them, like a snail, leaving a trail of the human presence and memory trace of the past events as the snail leaves its slime”. I have found that the exploration of analogue techniques such as cyanotype and the labour-intensive manual techniques of copper etching have helped me create new and exciting works in a digital age. Although copper etching is one of the oldest printmaking techniques I am looking at how I can make something sculptural on paper. Today, where everyone sees art and images on their private phone screens and touch is replaced by scrolling down a device screen, the materiality of these processes fascinates and is important to me. I have attempted combining various techniques to explore the idea of the line and mark making, both of which have a long history embedded in printmaking and drawing. My current practice is exploring the interactions of mark making processes, through their metamorphosis in contemporary drawing, printmaking, anologue photograhpic processes and moving images. It has been an amazing journey so far! For the interim show my work was an installation of prints which I exhibited in a non traditional manner. The print works were suspended from the walls, shifting a bit from the traditional perception of hanging print works on the wall within a frame. It was an installation for which the public was open to move around and explore, instead of an object of art occupying the wall space. This exploration has helped me make new and exciting artworks, breaking the traditional printmaking barriers as prints do not only have to be seen as two dimensional objects in a space. In this interim show I attempted to architecturally obstruct the viewers gaze through the arrangement of the prints. I continue to work with different ways of looking at prints to push these boundaries. ‘Water Memory’ by Apoorva, from the interim show, etching on copper printed on Hahnemühle paper, cyanotype and chine-collé, 2018. I applied for an Erasmus exchange in Europe for six months (one semester) and was lucky enough to go. The exchange was an optional part of my second year programme and ran from February 2017 until the end of June 2017. There were several university options to choose, both in Europe and internationally, your options depend on what course and college in UAL you are in. I chose to go to the Willem de Kooning Academy in Rotterdam, The Netherlands. Other students from my course went on to venture international territories in places like Taipei. It was a really good way to get a taster for another art institution in a new culture. I met people from different countries and got the chance to explore various cultures. I learnt a lot from my travels in Europe and would definitely recommend it! My Erasmus exchange has influenced my art making process, I shifted from video and printmaking processes to making a large scale drawing during the time period of my stay in The Netherlands. I made the move from New Delhi, India to London, UK in the past, but the exchange programme was a challenging and fruitful experience for me personally as an individual, but also as an artist. 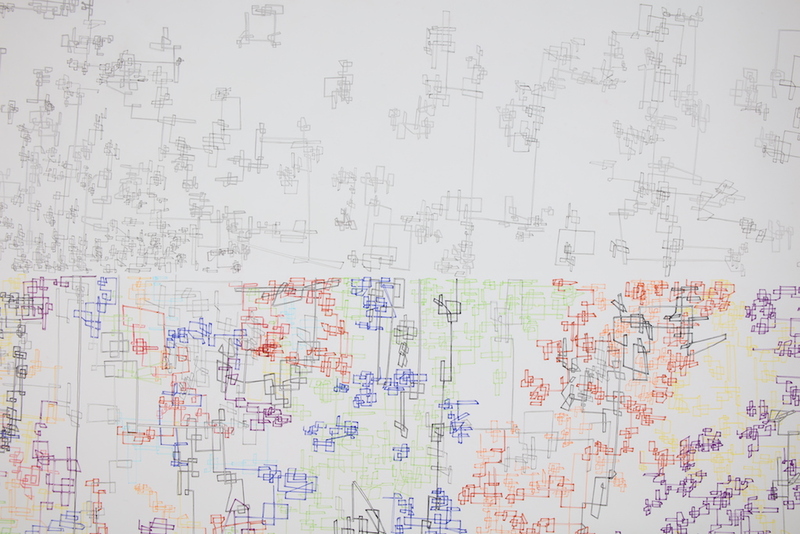 I have now incorporated drawing into my current practice and is a huge part of what I make. Detail of Apoorva’s drawing, graphite and ink on paper, 115 x 228 cm, 2017. Made while on Erasmus in Rotterdam. Feature image: Graphite and ink on paper, 115 x 228 cm, 2017. Apoorva’s drawing made while on Erasmus in Rotterdam. You can see Apoorva’s work at Wimbledon’s Summer Show 14 – 23 June, for full details go to our event page.